While my writing on this blog came to a grinding halt in 2014, watching and reading hit an all-time high, with the year practically spent in the eight feet between my bookshelf and computer screen. The films that I really liked last year consisted of some boldly adventurous mainstream Indian features (Haider, Dedh Ishqiya, Pisaasu, Jigarthanda), strong arthouse dramas (Waste Land, Two Days, One Night, Clouds Of Sils Maria, A Midsummer’s Fantasia), experiments in participative ethnography charting newer territories (Episode Of The Sea, Joy Of Man’s Desiring, Tomorrow Is Always Too Long), intelligent and reflexive modernist works (Actress, The Salt Of The Earth), classic fly-on-the-wall documentaries (National Gallery, Of Men And War, Maidan), purely formalist delights (Journey To The West, Panchromes I, II, III, Khan Khanne) and nearly unclassifiable mysteries without mysteries (Jauja, For The Plasma, Mercuriales). But (nearly) no film of the year, I thought, compared to the best offerings of the previous few years. Here’s hoping for a much richer 2015. As always, only the films that had their world premiere in 2014 are considered for this list. Happy New Year and good luck at the movies. 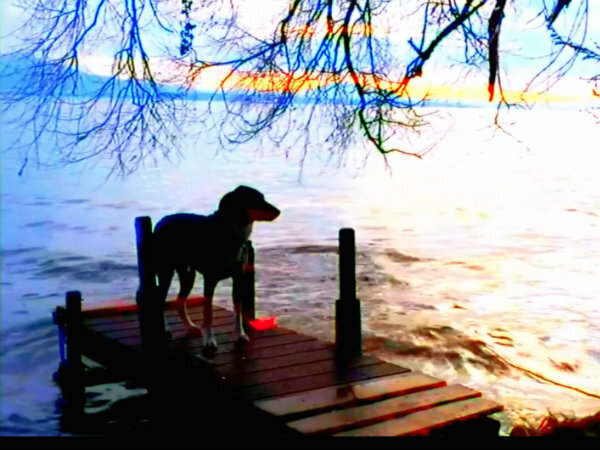 There is a reason why Godard’s explosive ‘second final’ film is called Adieu au langage and not Adieu à la langue: what it seeks to bid farewell to is not any particular language, but the system of language itself – not surprising for a film that attempts to wrestle with half a millennium’s worth of Western perceptual history. In 3D, which he employs like Cézanne employed watercolours, Godard finds a tool that can demolish the Albertian perspective of 2D images, decenter the human spectator and ultimately dethrone anthropocentric perception as the preeminent way of observing the world. The result is a torrent of phenomenological incidents in which stereoscopic images reinforce and undermine one another, stereophonic monologues diffuse into dialogue and ‘stereotemporal’ narrative shards respond to each other tangentially. Goodbye to Language is a investigation into the 3rd dimension in every sense of the word and sets up a plethora of sonic, visual, narrative and conceptual dialectics to see what the synthesis does to its two constituents. It is an attempt to find a perspective outside language – one of a dog, perhaps. No other film this year animated me and annoyed me as much. More importantly, it snapped me out of a cinephilia-induced intellectual stupor. The simple and cozily domestic setup of Porumboiu’s pseudo-single shot movie – the director and his father bond over a recorded game of televised football, in which the latter was a referee – belies the complex chain of implications that this physically hermetic film sets in motion. 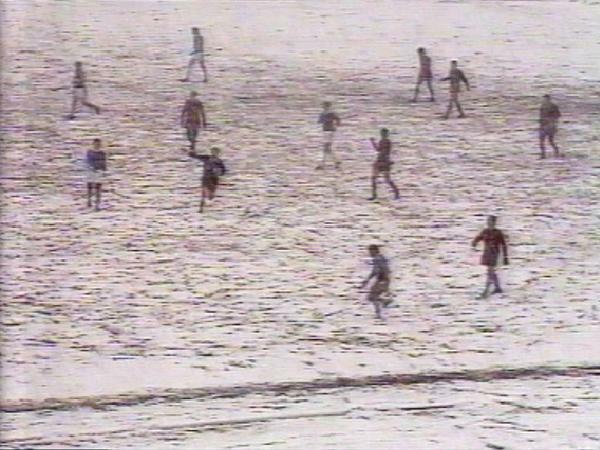 Running for exactly the length of one football match (played between two governmental bodies in 1988 on a spectacular snow covered ground), The Second Game is part-filial wish fulfillment of watching his father at work, part-review of sports aesthetics under communism and part-remembrance of an outmoded video technology, all filtered through a present day perspective. Striking an equivalence between his profession and his father’s, in both of which players have to be directed and decisions have to be made on the spot, the film is likely a reflection on whether or not the filmmaker has temperamentally inherited anything from dad, whose view of sports as perishable commodity is antithetical to his son’s view of it as art. It is more importantly one of the most intelligent and productive instances of appropriation art, with Porumboiu refashioning out of obscure sports footage a trademark film that is “long”, where “nothing happens” and which is nonetheless highly suspenseful. If what Porumboiu accomplishes sitting in front of a TV screen was amazing, what Chicago-based Kevin Lee does sitting in front of a computer is downright revelatory. 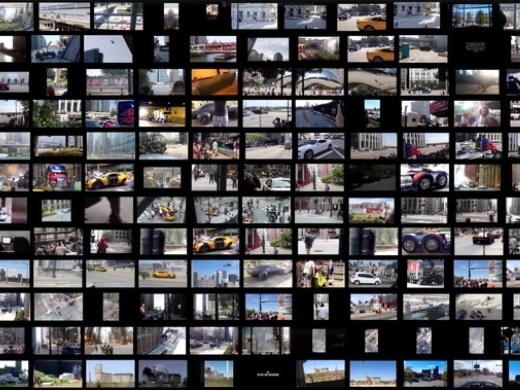 Weaving together hundreds of internet videos about the making of Paramount Pictures’ Transformers: Age of Extinction (2014), uploaded by common folk in America and Hong Kong and official news agencies in mainland China, Lee develops a brilliant and scary picture of corporate cultural hegemony in which seemingly the entire world bends over backwards to affiliate itself, consciously or otherwise, with the American conglomerate. Imbibing the spirit of Harun Farocki and Theodor Adorno (who, not coincidentally, lend their names to Lee’s HDDs) respectively in its tracing of modern forms of labour and commodity production and its critique of the darker side of popular entertainment, Premake reveals a post-globalized, post-nationalist Hollywood whose financial motor is now set to ensure China-friendly films to capitalize a booming market – a pertinent reminder that the influence of patronage on aesthetics is strongest in cinema of all arts. It is a short, sharp alarm call about the all-pervasive nature of Big Money, which can forge adherents out of the very people it has run over. Ryan Murdock’s bountiful Kickstarter-funded documentary about Bronx-based Puerto Rican single father and Obama-impersonator Louis Ortiz is an oblique tale of possession and haunting. For the recession-hit Ortiz, Obama’s ascension to power is not only a story of national hope, but also a personal one that rides the coattails of Project Merchandise Obama. Murdock’s richly thematic film ties his fate to that of the POTUS in heady ways that demonstrate the double-edged nature of power: while his daughter can’t take for granted the privileges that the president’s can, Ortiz, unlike Obama, has infinitely more power in being able to stop playing the president any time he wants. It is also a snapshot of a common man struggling to maintain his dignity and identity under the weight of celebrity, for Ortiz has to not only become a receptacle of repressed racial hatred towards the president, but actively undercut his beliefs and parody his idol for one-percenter entertainment. When Ortiz looks at his hero speaking on television, he is at the same time looking at a mirror, continuously calibrating his speech, gesture and gait to match those of his doppelgänger. A Kagemusha for the 21st century. 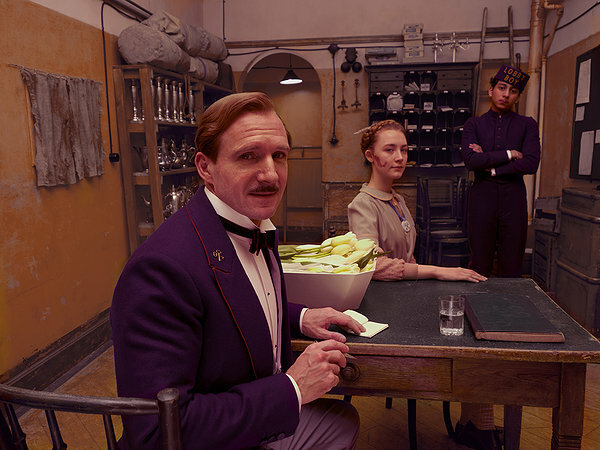 It seems to me that, with The Grand Budapest Hotel, Anderson set himself his biggest challenge to date. If making films with genuine affect wasn’t tough enough in a postmodern art climate where unironic approach to material is generally considered reactionary, his new movie assigns him the task of conveying nostalgia for a world doubly lost to our post-ideological age, in which the only valid nostalgia is the nostalgia for a time when nostalgia was even possible. The Matrioshka doll-like construction of the film aptly serves this objective by employing nested frameworks, each set in crucial periods of 20th century Western history, that bring this lost world closer to us instead of distancing it. The result is a deeply felt work about the enduring value of categories such as truth, beauty and basic human decency, really, which sets Anderson apart from most of his equally flamboyant peers, whose malevolent or agnostic universes seem to reject the spiritually uplifting side of art. If ever Renoir’s faith in Human Goodness in The Grand Illusion (1937) felt as being trapped in a time capsule beyond contemporary access, Anderson’s film releases it back into our epoch. “Dear Max, Are you there?” asks Baudelaire in the first of his 74 “impossible letters” to his Abkhazian friend and ex-diplomat, Maxim Gvindjia, addressing, in effect, both his interlocutor and his country. This existential question haunts the entirety of the film, which investigates what it is that really makes a nation. Is it the spectacular rituals and glorious anthems reinforcing nationhood? The time-worn buildings and landscape that give it a unity of character? The dubious accreditation of superpowers? Or is it indeed an imagined community forming an identity in opposition to ‘the other’? Such a dialogue between the material and the abstract is woven right into the structure of Letters to Max, where the very possibility of the physical letters that Baudelaire dispatches from France reaching Abkhazia gestures towards a recognition of its existence. 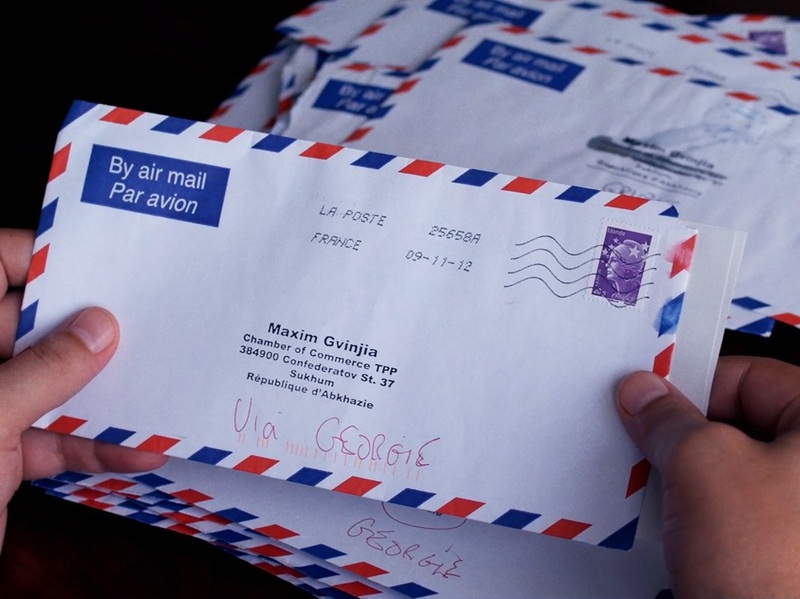 Baudelaire’s film is partly an amicable correspondence between amis sans frontières and partly an interview between a bureaucrat and a political critic in which Eric’s broaching uncomfortable questions thwart Max’s desire to paint a unblemished picture of Abkhazia, putting him in a double bind paralleling that of his country: a nation torn apart as much historically between change and preservation as it is geographically. 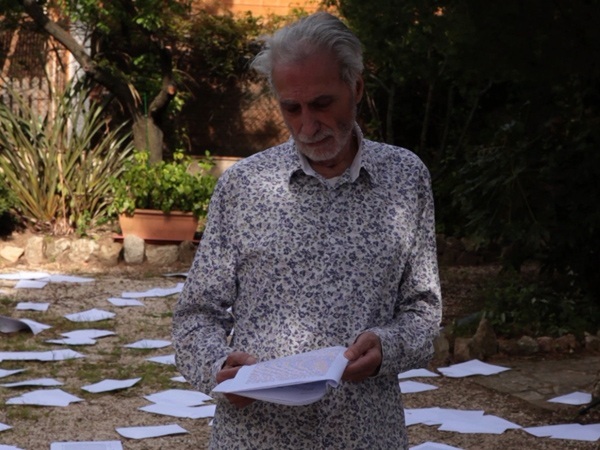 Veteran French filmmaker Paul Vecchiali made not one but two sublime films in 2014, the other being the Dostoyevsky adaptation, White Nights on the Pier. In False Harmonies, Vecchiali plays a man who is grieving the death of his long time partner. He chances upon email exchanges that the latter had had with an anonymous user on an online gay dating website and imagines the texts being read out to him by this unknown young man, who is played by two different actors depending on the tone and content of the messages. On one level, False Harmonies is an intelligent modernist exercise that charts its own making, wherein the script of the film is its very subject and the elaborate central scene of letter-reading is, in effect, the audition for the actors playing that role. But, like White Nights, it is also a work of soaring honesty about the essentially limited nature of romantic relationships. It suggests the frightful probability that the person you have spent half your life with might be the one you know the least; that we play roles in a relationship, sure, but we also seek out other roles to complement it; that getting out of character might be as important as getting in. In its conception, Bruno Dumont’s Li’l Quinquin, made as a four-part television miniseries, recalls the slyly subversive films of Robert Altman in his heyday. Picture this: 1.4 million French folks tune in to Arte TV expecting a comic broth of northern hicks, bumbling detectives and enfants terribles. What they get instead is a progressively morbid feuilleton about an ersatz Old Testament God meting out gory punishment for vaguely defined transgressions and a community with a twisted idea of moral propriety willing to shield this vigilante who seems to give potent form to their own thwarted drives. This is fine, topical screenwriting that responds to the rapid rise of the far-right in France, portraying a nation whose barely-repressed xenophobic streak during and before WW2 rears its ugly head in the present as Islamophobia. (Quinquin seems so tailor-made for India, where similar political upheavals have taken place and where a psychopath with a perverted sense of bovine justice is very much in the realm of possibilities,) It’s a world where pre-adolescents inherit, internalize and put into practice adult beliefs and rituals without reflection. Despite its humour and frivolity, darkness looms in the future that Dumont’s film lurches into. The debut feature by Grozeva and Valchanov, like Two Days, One Night, works within the melodramatic form, moving its protagonist from point A to B through a series of progressively challenging obstacles. But while I found the Dardennes’ formidable and formally astute picture nonetheless a tad too ‘clean’, in the way it deliberately takes an irresolvable ethical quandary as a starting point and keeps underscoring a globalized Europe, The Lesson seems to me to retain the messiness of some of their earlier great films. On one level, it is a simple parable about the fallibility of authority, but it is also an uncompromising portrait of the tyrannical nature of all forms of social organizations, be they human systems with conscientious individuals at the helm or faceless bureaucratic ones with no vested interests. Slowly shifting its narrative space from the classroom to the metropolis with an enviable economy of exposition, The Lesson facilitates a double-edged critique that argues that the values taught in the class are but modeled on the values the state imposes on us and that what the state demands of us is to be ideal pupils in a classroom that is less than ideal. This remarkable debut feature by Nima Javidi naturally reminds one of Asghar Farhadi’s films, with its strong sense of drama, tremendous actor interpretations and mature writing that does not compromise the integrity of any of the characters. But there is also something particularly “new generational” about it in the way it harnesses the choice in front of affluent young Tehranians: to stay in Iran and own up its problems or to leave the country to start life anew. The inciting event in the film that dramatizes this choice stops the train of life dead in its tracks, exposing its protagonists to the unbearable “nowness” of the present. It is a terribly universal predicament in which time freezes around the material reality before you and all plans for the future and memories of the past seem like a remote, inaccessible country, a crisis that makes you want to either regress in time (“wish mother were here”) or to jump to a future day when the clouds have cleared, a moment where husband and wife see each other’s innermost character in all its stark nakedness. Though the couple might physically arrive at the eponymous neverland, the utopia it once represented is irrevocably lost.